Zwilling J.A. Henckels recently held a Fall/ Winter preview party at a beautiful home in the upscale Yorkville neighbourhood in Toronto. The luxurious house was decorated with the newest Zwilling knives, Staub cookware all while Chef Ted Corrado from The Drake Hotel was cooking up tasty bites in the kitchen. 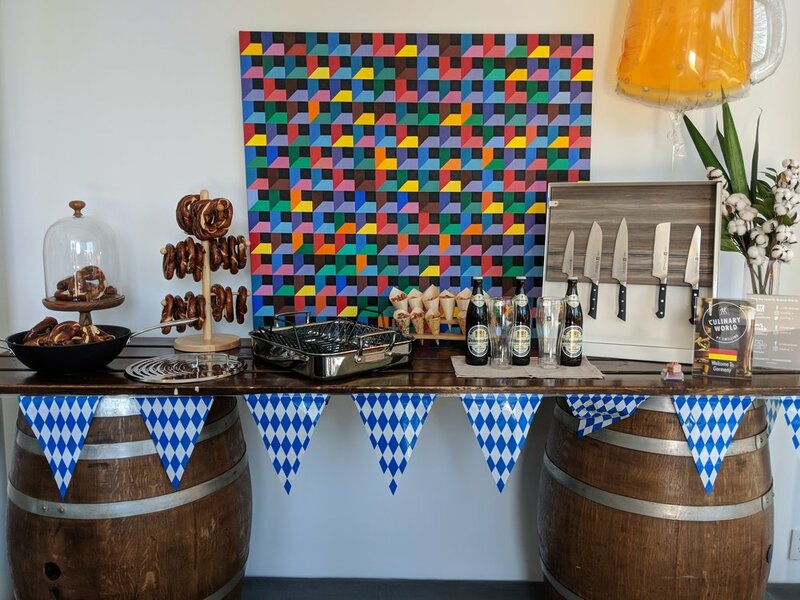 Guests were able to enjoy a wide range of international flavours, as the house was transformed into the Zwilling Culinary World. I enjoyed tasting foods from different countries’ cuisines while getting an up close look at the newest culinary products from Zwilling, Ballarini, Staub. Highlights included beautiful Japanese Miyabi knives that were featured next to a huge platter of sushi and a stunning tomato styled cast iron cocotte from Staub that I couldn’t take my eyes off. Even the washroom was stocked with the newest grooming products from Zwilling’s Tweezerman brand- rose gold tweezers! Check out the gallery below for more of the pics from the day.